[C. Forrest McDowell, PhD & Tricia Clark-McDowell] This small, inexpensive treasure of a book distills the basics into 68 colorful, accessible, even humorous, pages. 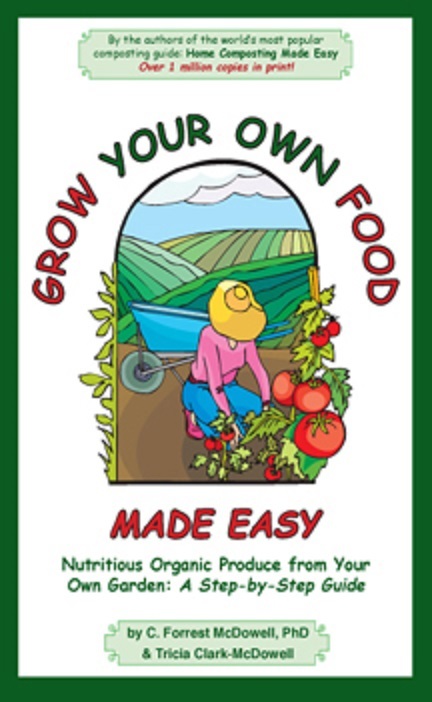 The authors have decades of experience growing food and teaching others to grow food. This book is a step-by-step guide to producing lots of nutritious, delicious food using everyday skills, even if you have a small space. When we show this book at workshops and festivals, people gobble it up. Softcover, 68 pp.